Huddersfield Town has over 2.5 goals in their last 4 games in Premier League. Manchester United allowed opponents to score over 1.5 goals in last 3 games in Premier League. Manchester City scored in last 3 games in Premier League. Burnley has under 2.5 goals in their last 6 games in Premier League. Watford scored in last 7 games in Premier League. Burnley has under 2.5 goals in their last 3 home games in Premier League. Watford won their last 3 away games in Premier League. Watford scored in last 4 away games in Premier League. Huddersfield Town scored in last 3 away games in Premier League. Huddersfield Town allowed opponents to score over 1.5 goals in last 4 away games in Premier League. Manchester United has under 2.5 goals in their last 4 away games in Premier League. Manchester United allowed opponents to score over 1.5 goals in last 4 away games in Premier League. Roma has over 2.5 goals in their last 3 games in Serie A.
Spal 2013 has over 2.5 goals in their last 6 games in Serie A.
Torino won their last 5 home games in Serie A.
Inter has under 2.5 goals in their last 3 games in Serie A.
Udinese won their last 4 games in Serie A.
Spal 2013 won their last 4 games in Serie A.
Bologna scored in last 5 games in Serie A.
Roma has over 2.5 goals in their last 3 away games in Serie A.
Parma 1913 has over 2.5 goals in their last 6 games. Roma scored in last 6 games in Serie A.
Roma scored in last 4 away games in Serie A.
Spal 2013 scored in last 4 games in Serie A.
Bologna scored in last 5 home games in Serie A.
Udinese won their last 3 away games in Serie A.
Inter has under 2.5 goals in their last 4 away games in Serie A.
Inter scored in last 4 games in Serie A.
Parma 1913 has over 2.5 goals in their last 5 home games. Udinese has under 2.5 goals in their last 3 games in Serie A.
Inter scored in last 3 away games in Serie A.
Inter allowed opponents to score over 1.5 goals in last 3 away games in Serie A. Real Madrid has over 2.5 goals in their last 3 games in La Liga. Eibar has over 2.5 goals in their last 3 home games in La Liga. Huesca has over 2.5 goals in their last 3 games in La Liga. Rayo Vallecano has under 2.5 goals in their last 3 home games in La Liga. Getafe has under 2.5 goals in their last 4 games in La Liga. Huesca has over 2.5 goals in their last 3 away games in La Liga. Rayo Vallecano won their last 3 home games in La Liga. Real Madrid has over 2.5 goals in their last 10 home games in La Liga. Getafe has under 2.5 goals in their last 3 away games in La Liga. Huesca scored in last 4 away games in La Liga. Rayo Vallecano scored in last 18 home games in La Liga. Huesca scored in last 3 games in La Liga. Rayo Vallecano won their last 4 games in La Liga. Getafe ended draw their last 4 games in La Liga. Sheffield Wednesday scored in last 6 away games in Championship. Sheffield Wednesday scored in last 11 games in Championship. Brentford scored in last 6 home games in Championship. Atletico Paranaense has over 2.5 goals in their last 4 home games in Serie A (Brazil). Flamengo has under 2.5 goals in their last 4 games in Serie A (Brazil). Internacional won their last 4 home games in Serie A (Brazil). Parana Clube lost their last 5 away games in Serie A (Brazil). Flamengo has under 2.5 goals in their last 4 away games in Serie A (Brazil). Internacional won their last 4 games in Serie A (Brazil). Flamengo won their last 3 games in Serie A (Brazil). Internacional scored in last 8 games in Serie A (Brazil). Flamengo scored in last 5 away games in Serie A (Brazil). Internacional scored in last 6 home games in Serie A (Brazil). Nordsjalland has over 2.5 goals in their last 3 home games in Superligaen. Vejle has under 2.5 goals in their last 3 away games in Superligaen. Randers has under 2.5 goals in their last 5 games in Superligaen. Hobro has over 2.5 goals in their last 5 games in Superligaen. Nordsjalland lost their last 3 games in Superligaen. Nordsjalland scored in last 27 home games in Superligaen. Hobro has over 2.5 goals in their last 3 away games in Superligaen. Randers has under 2.5 goals in their last 3 home games in Superligaen. Hobro scored in last 3 away games in Superligaen. HJK Helsinki has over 2.5 goals in their last 4 home games in Veikkausliiga. HJK Helsinki has over 2.5 goals in their last 4 games in Veikkausliiga. HJK Helsinki lost their last 3 games in Veikkausliiga. Kemi Kings lost their last 8 away games in Veikkausliiga. HJK Helsinki scored in last 10 home games in Veikkausliiga. 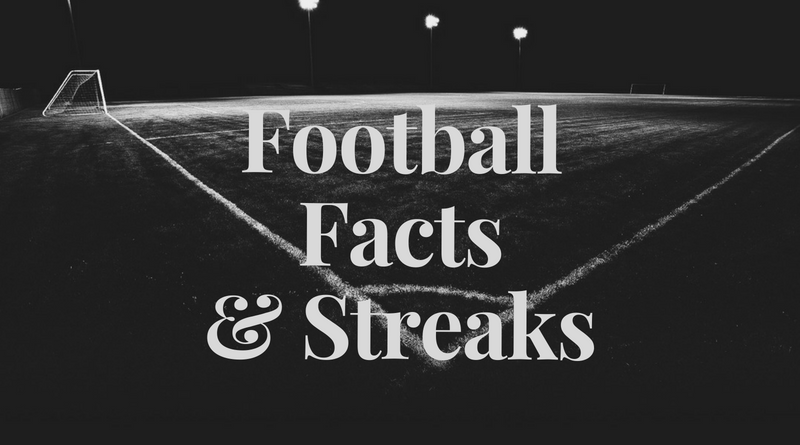 Reykjavik has under 2.5 goals in their last 4 games in Urvalsdeild. Akureyri scored in last 3 home games in Urvalsdeild. Akureyri scored in last 6 games in Urvalsdeild. Akureyri allowed opponents to score over 1.5 goals in last 4 home games in Urvalsdeild. Reykjavik allowed opponents to score over 1.5 goals in last 4 games in Urvalsdeild. Zwolle has over 2.5 goals in their last 7 games in Eredivisie. Zwolle scored in last 9 games in Eredivisie. Utrecht scored in last 6 home games in Eredivisie. Zwolle scored over 1.5 goals in last 9 games in Eredivisie. Utrecht scored over 1.5 goals in last 5 home games in Eredivisie. Heerenveen has over 2.5 goals in their last 4 games in Eredivisie. Vitesse has over 2.5 goals in their last 6 away games in Eredivisie. Heerenveen scored in last 10 games in Eredivisie. Heerenveen scored in last 6 home games in Eredivisie. Vitesse scored in last 6 away games in Eredivisie. Sarpsborg 08 has under 2.5 goals in their last 3 games in Eliteserien. Stabaek scored in last 3 games in Eliteserien. Molde allowed opponents to score over 1.5 goals in last 6 games in Eliteserien. Brann has over 2.5 goals in their last 5 games in Eliteserien. Brann has over 2.5 goals in their last 3 home games in Eliteserien. Sarpsborg 08 has over 2.5 goals in their last 3 away games in Eliteserien. Sarpsborg 08 scored in last 10 away games in Eliteserien. Porto has over 2.5 goals in their last 3 away games in Liga NOS. Porto scored in last 3 away games in Liga NOS. Belenenses scored in last 4 home games in Liga NOS. Belenenses scored in last 4 games in Liga NOS. Porto allowed opponents to score over 0.5 goals in last 4 games in Liga NOS. Elfsborg has under 2.5 goals in their last 5 games in Allsvenskan. Elfsborg lost their last 4 games in Allsvenskan. Norrkoping scored in last 18 away games in Allsvenskan. Elfsborg didn’t score in last 5 games in Allsvenskan. Brommapojkarna has under 2.5 goals in their last 5 home games in Allsvenskan. AIK has under 2.5 goals in their last 3 games in Allsvenskan. AIK won their last 3 away games in Allsvenskan. AIK scored in last 5 away games in Allsvenskan. Brommapojkarna allowed opponents to score over 1.5 goals in last 11 home games in Allsvenskan. Galatasaray has over 2.5 goals in their last 3 games in Super Lig. Besiktas won their last 4 games in Super Lig. Buyuksehir Belediye Erzurumspor scored in last 11 games in Super Lig. Besiktas scored in last 3 away games in Super Lig. Galatasaray has over 2.5 goals in their last 5 home games in Super Lig. Galatasaray won their last 14 home games in Super Lig. Buyuksehir Belediye Erzurumspor scored in last 7 home games in Super Lig. Besiktas scored in last 7 games in Super Lig. Galatasaray scored in last 7 games in Super Lig. Galatasaray scored in last 14 home games in Super Lig. Minnesota United has over 2.5 goals in their last 9 games in MLS. Philadelphia Union has over 2.5 goals in their last 4 games in MLS. New York City has over 2.5 goals in their last 5 games in MLS. Dallas has over 2.5 goals in their last 3 games in MLS. New York City has over 2.5 goals in their last 7 away games in MLS. Philadelphia Union won their last 3 games in MLS. New York City scored in last 3 away games in MLS. Minnesota United has over 2.5 goals in their last 3 away games in MLS. Dallas has over 2.5 goals in their last 4 home games in MLS. Minnesota United scored in last 7 games in MLS.